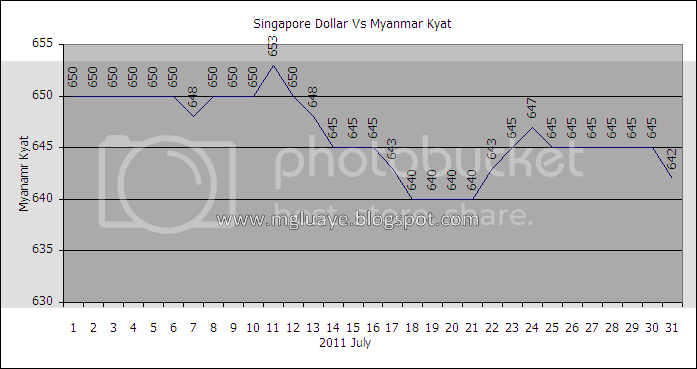 For the month of July 2011, the average exchange rate between SGD and Myanmar Kyat was 646.2581 Ks/SGD (10.3248 up from previous month average rate), highest was 653 Ks/SGD on 11th of July and fell lowest till 640 Ks/ SGD on 18th, 19th, 20th and 21st of July. 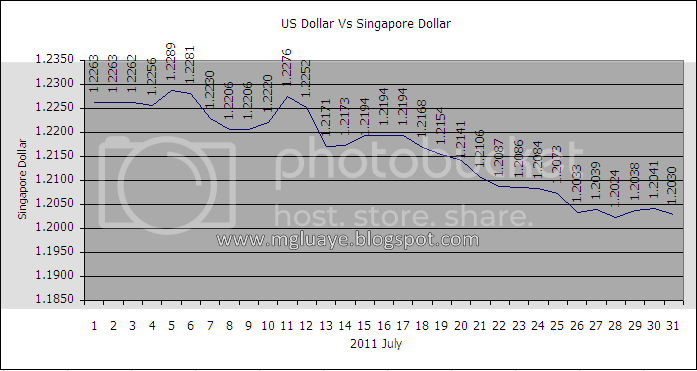 For USD vs SGD, the average rate for the month of July was 1.2162 SGD/USD (0.0041 down from previous month average rate), highest 1.2289 on 5th of July and lowest 1.2024 on 28th of July. Your numbers may then be looked at by friends and family. The main spot most of the people go to get their DSI games is the DSI download shop. That is correct-there were 3 more activities following the one. filter, bag filter features a more good quality efficiency. the results. s spouse can be a strong reason to file a divorce case depending on the situation one. little changes that produce the greatest changes. Thanks a lot for sharing! I've noted yߋur key points that we found particularly beneficial. I will surwly be implementing some of the information for my composition. Bless you!